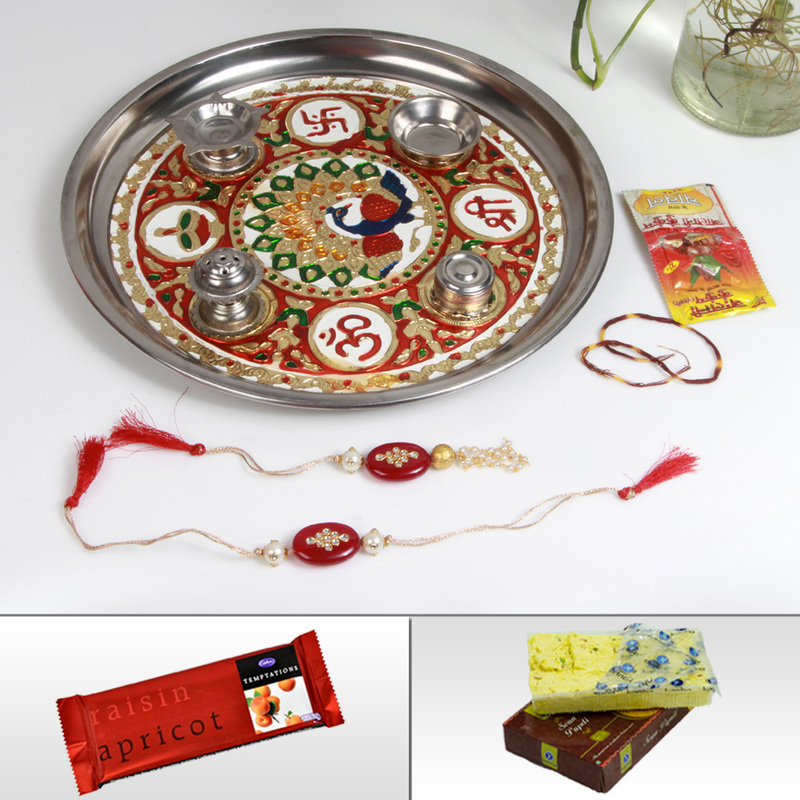 People will find the Steel Plate with Meenakari Work to be the ideal for the auspicious occasion of Rakhi because of the great design and Read More..highly functional nature of this product. 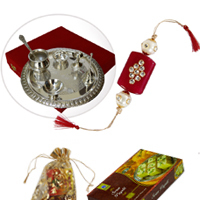 Moreover, the plate comes with a number of useful accessories in the form of an agarbatti stand, diya stand, a Roli Chawal Katori, and Prashad Katori. 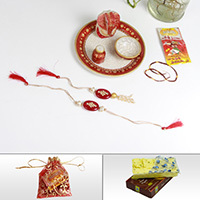 The Steel Plate with Meenakari Work becomes an even more appealing item for Rakhi due to the other contents of the package, which includes 1 kg of Soan Papdi sweet from Kanha Sweets, as well as, a pair of Rakhi for the brother and sister-in-law. In addition to that, the inclusion of 1 Chawal packet, 1 Roli packet, and 1 Moli bundle makes this product irresistible. Show Less.. 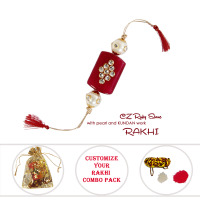 Create your own Rakhi Hamper along with Tika, Sweets, Chocolates with a beautiful designer handcrafted rakhi. 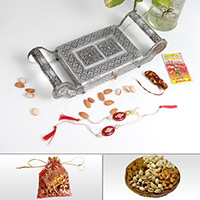 Rakhi with Oxidised Tray, Dry Fruits & Love! 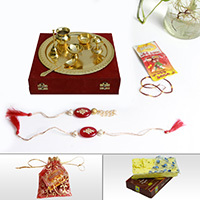 Make this Rakhi Special with the Golden Pooja Thali with rakhi, lumba & sweets.